Mauritania is largely a desert country in West Africa’s Sahel region. It is a bridge between North Africa’s Arab Maghreb and the western sub-Sahara. It’s also one of Africa’s newest oil producers. Médecins Sans Frontières first began working in Mauritania in 1994. Today, all of MSF’s work is carried out in the south-east of the country along Mauritania’s border with Mali. Following the 2012 conflict in Mali, thousands of people fled into Mauritania in search of safety. MSF provides essential healthcare and mental health support to Malian refugees and vulnerable host communities in Mauritania. Thousands of Malians are still living in Mbera camp in southeast Mauritania, following the conflict in 2013 which forced them to flee across the border. 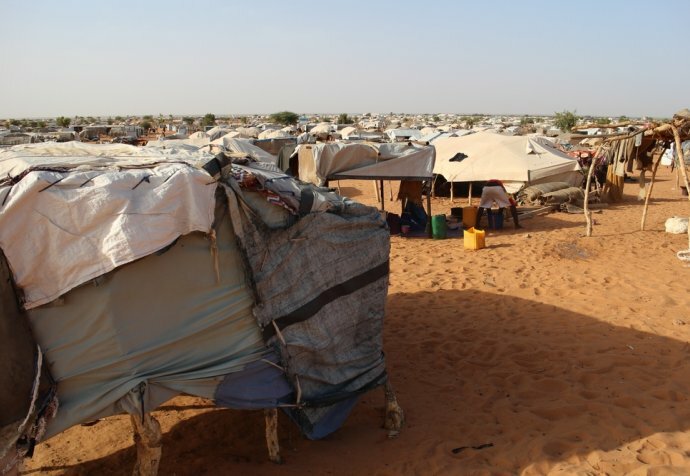 Despite the peace agreement of 2015, many refugees have decided to remain in the camp, as the security situation in northern Mali remained unstable. We provide basic and emergency healthcare, as well as gynaecological and obstetric services, for the refugees in the camp and the host communities in nearby Bassikounou and Fassala. MSF also offers mental health support to refugees in the camp.